The ASUC Senate unanimously passed a bill at its meeting Wednesday stating that it will express no confidence in incoming UC president Janet Napolitano if she does not meet a list of nine demands by a deadline set by the senate. The bill, which was authored by CalSERVE Senator Sean Tan, was amended so the senate would express no confidence only if Napolitano does not meet the nine demands listed in the bill by the third week of October. ASUC External Affairs Vice President Safeena Mecklai will present the bill to the UC Student Association board with the list of demands to Napolitano, some of which call for her to ensure the UC system will be a safe place for undocumented students and to prohibit the use of riot police in interfering with student acts of disobedience, protests and rallies on UC campuses. Additionally, ASUC President Deejay Pepito will propose a review of the selection process of the UC president to the UCSA Council of Presidents. 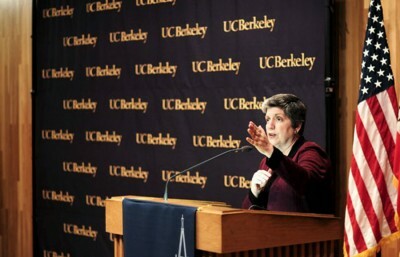 Some UC Berkeley students have expressed concern over Napolitano’s appointment due to her work as head of the Department of Homeland Security. Of concern is her enforcement of immigration policies such as Secure Communities, which allows police officers to hand over those they arrest to U.S. Immigration and Customs Enforcement. 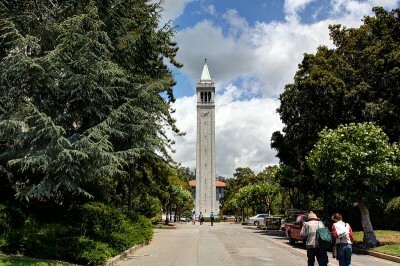 Some students fear that her prior work will make undocumented students feel unsafe. At the ASUC meeting, Ivan Villasenor Madriz, a UC Berkeley sophomore who said he was undocumented, asked the senate to support the motion. “We’re here fighting, and we just want you to fight with us,” Madriz said. Although the senate passed the bill unanimously, discussion about it did not lack tension. At one point during the meeting, Mecklai called out Executive Vice President Nolan Pack for a blog post he wrote regarding her vote at a recent UCSA meeting. There, Mecklai voted against a bill that stated UC students had no confidence in Napolitano, as did a majority of the board. In the post, Pack blasted Mecklai for her vote against the bill. “All of this comes from the same elected official who is attempting to appropriate the narrative of the radical activism of ‘Berkeley in the ’60s’ while simultaneously embracing the lukewarm politics of doublespeak and fear of authority,” Pack wrote in the post. 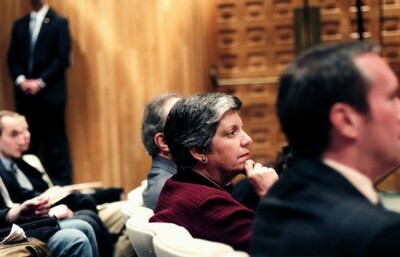 Mecklai personally addressed Pack at the meeting during her executive report, saying she will not be “bullied” by him. Although she did not support the UCSA bill, Mecklai said she supports the amended version of the ASUC bill passed Wednesday night. Jane Nho covers student government. Contact her at [email protected].